Chop cauliflower into similarly-sized pieces and drop in boiling water and cook for about 7-10 minutes or until tender but not soft/mushy. Al dente, if you will. Drain cauliflower; a colander works best, and let cool for 5 minutes or so. 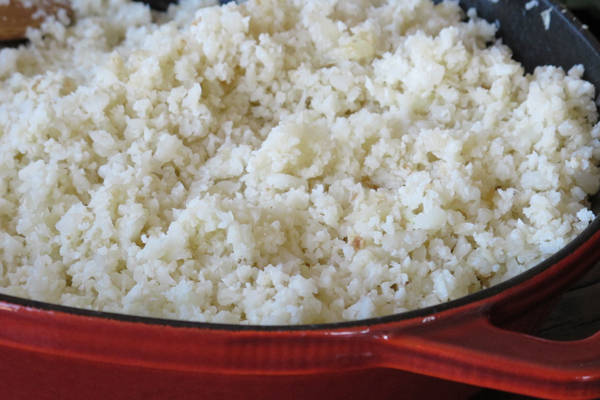 Place cauliflower in a food processor (not blender!) and pulse until you have small, uniform pieces. 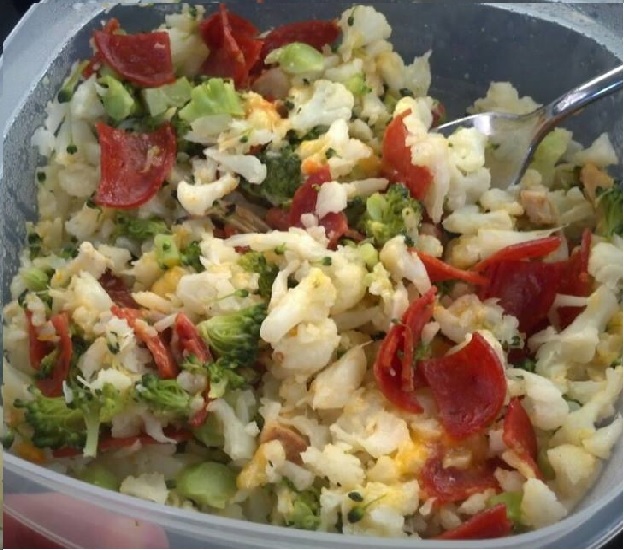 Keep in the fridge, sealed in tupperware, for up to one week. Use it as a bed under a stir-fry. Use it as pasta replacement with your favorite bolognese. Mix it with your favorite spices for a quick, flavorful snack.